Many Final Fantasy fans were excited when Japanese publisher Square Enix announced that Final Fantasy XV would be released on September 30, as this latest instalment of the long-running Final Fantasy series is without question one of the most eagerly awaited video games of the year. At a special event held in California last March, Square Enix also revealed that there would be more Final Fantasy-related stuff apart from the video game released this year, including an anime series and a full length animated movie titled “Kingsglaive”. The movie’s title refers to the elite guard of the kingdom of Lucis, which is summoned by King Regis in order to fight against the empire of Niflheim which is planning to invade his realm. 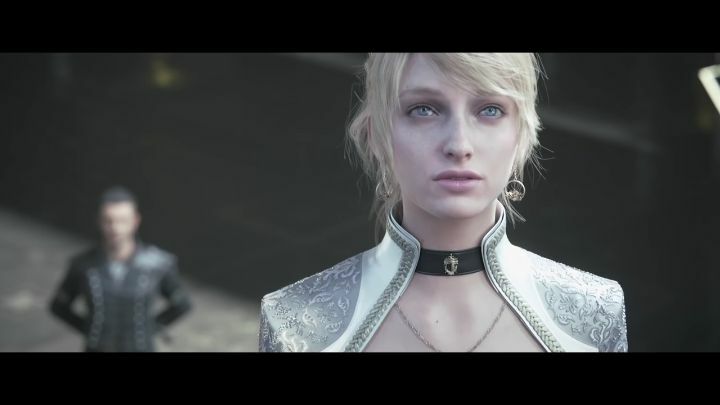 The Kingsglaive movie will feature top-notch voice acting, as King Regis is played by actor Sean Bean, while Princes Lunafreya is voiced by Lena Heady of Game of Thrones fame. The movie will feature new characters like Nyx, a soldier in King Regis’ Kingsglaive troops, and also familiar characters like prince Noctis, son of King Regis. Actually, according to director Takeshi Nozue, the relationship between father and son will be one of the movie’s major themes. “While watching the film you’ll see the love they have for each other and understand the pressures of fulfilling the responsibility of being King”, wrote Nozue on the PlayStation Blog. But it is clear that this will also be an impressive-looking movie, one that features cutting-edge CGI to tell its story. And judging by the latest trailer, it is clear that this movie will be a visual treat with its life-like character models, special effects and the stunning imagery we’ve come to expect from Final Fantasy. According to director Nozue, “we combined fantasy aspects with modern aspects to give Kingsglaive a realistic look”, adding that the movie is “filled with action scenes only possible through advanced computer graphics”. Kingsglaive will be released theatrically on August 19 in North America, and will also hit Sony’s PlayStation Video service on August 30. Also, those who buy the Deluxe or Collector’s Edition of Final Fantasy XV will get the Kingsglaive movie on Blu-Ray too, as was announced during the Final Fantasy event last March. And there is no doubt that if this upcoming Final Fantasy game manages to look as superb as the movie does and play as well as earlier entries in this long-running franchise, then surely gamers will be in for a treat when Final Fantasy XV ships later this year. Note: Final Fantasy XV will be released on September 30, 2016. Available on PS4 and Xbox One. Does Nintendo have to worry about the NX console given Pokémon Go’s success?